I know it doesn’t seem like it, especially in the Midwest right now, but summer is on its way. Whether you have plans to chill around a bonfire, lounge by the pool, or throw a backyard BBQ for your friends, you will need a way to keep your refreshing beverages cool in the warm weather. 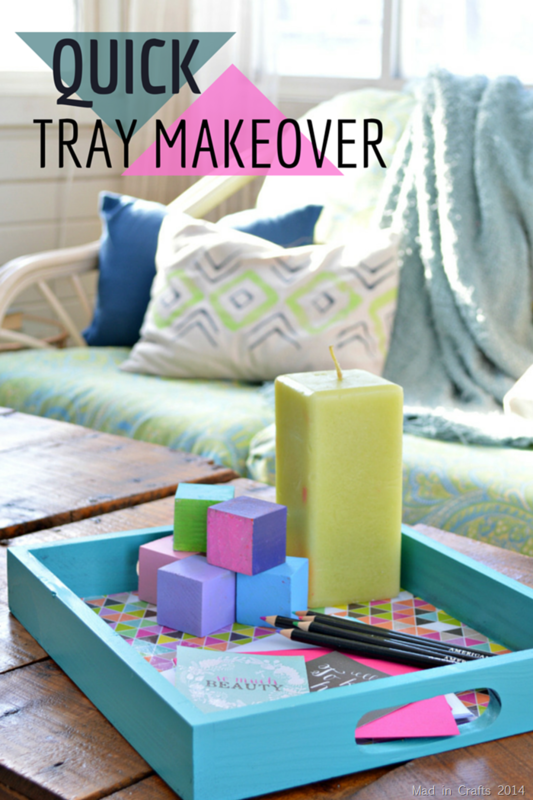 Instead of settling for that koozie with a random grocery store’s logo on it (you know, the one you got free at the grand opening), make your own! 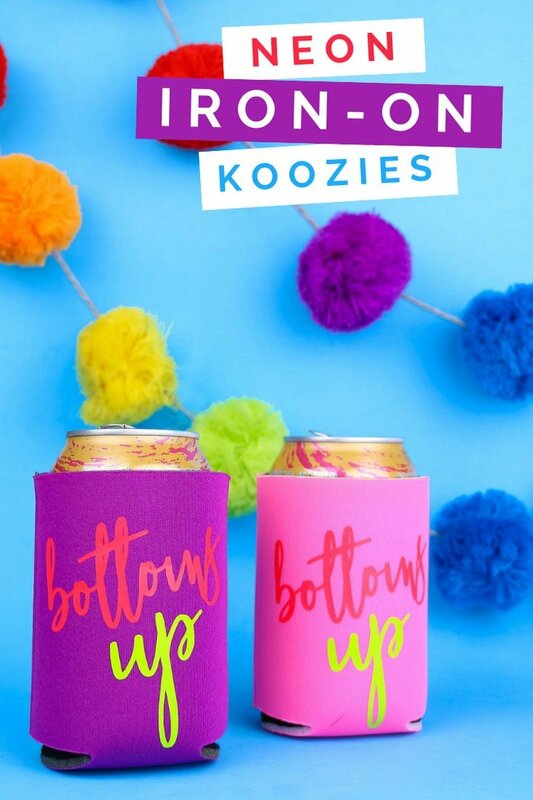 It’s really simple to personalize koozies with vinyl. 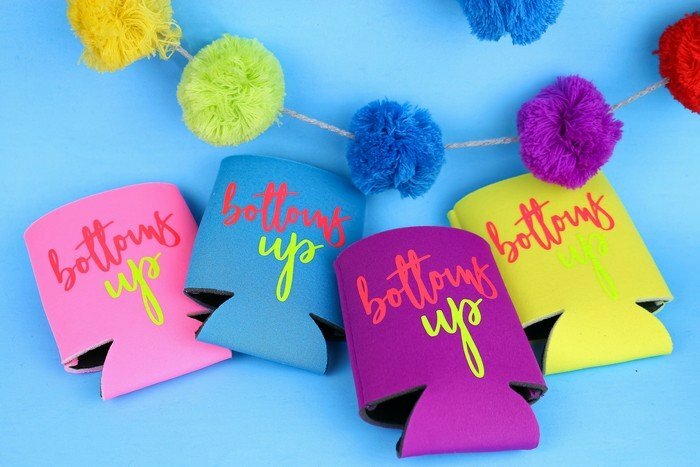 Learn how to make your own DIY neon iron-on koozies for summer! 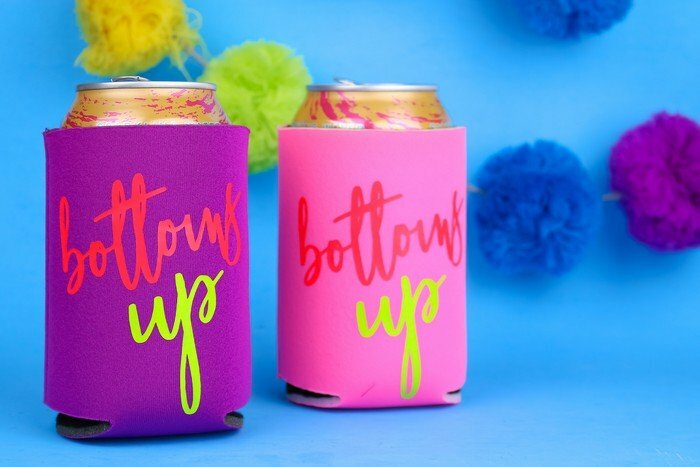 Watch this video to see how to use iron-on vinyl to make personalized koozies. It’s a simple process that has great results! I publish new videos on my YouTube channel every week. Subscribe for free so you don’t miss any of the fun! 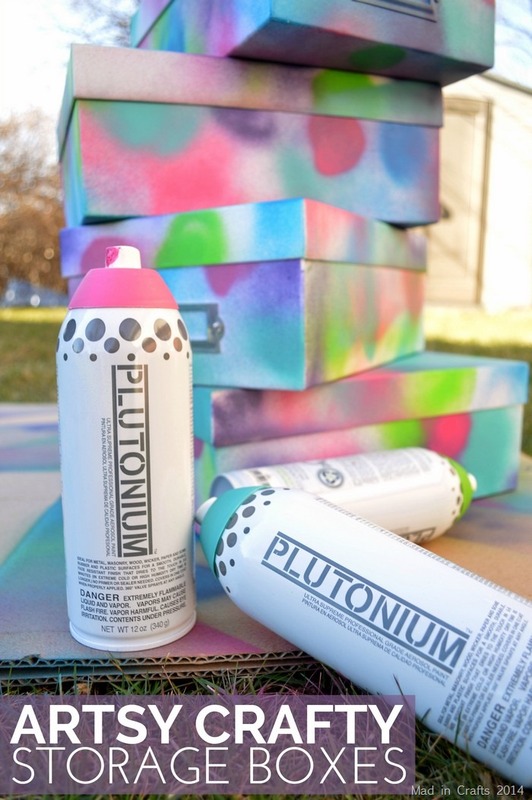 I chose to use neon colors for both the koozies and the iron-on vinyl, but you can choose whatever colors you would like. I recommend using a high-quality regular HTV vinyl or Cricut’s SportFlex iron-on vinyl because the koozies will stretch a bit in use. You don’t want the vinyl to crack after using it a few times. I added the vinyl to my koozies with an EasyPress. I adjusted the settings for iron-on and neoprene (the material most koozies are made from). You can iron the vinyl on with a household iron as well, the EasyPress just takes the guesswork out of it. Just be sure to use a pressing cloth for your first pass with your heat source. You guys! I learned how to make my own SVG files! To celebrate I am sharing this SVG file with you totally free. Just enter your email in the form below, and I can send the file straight to your inbox.